A future contract is an agreement (obligation) to buy or sell a given quantity of a particular asset, at a specified future date, at a pre-agreed price. Futures contracts have standard delivery dates, trading units, terms and conditions. Futures can be based on any number of underlying assets. We offer future contracts based on metals, soft and agricultural commodities. The Futures Market is primarily intended for Hedging and Speculation. Contracts in Futures Market results mostly in Cash Settlement and do not frequently result in delivery. 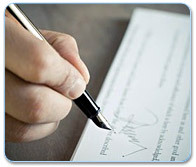 The Clearing House arranges guarantee of trades executed on the exchange. Contracts that must be closed out during settlement date. 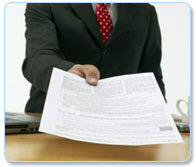 Delivery contracts will be delivered and settled through the certified receipts. MEX is having different delivery months in Products and as separate contracts for each commodity being traded at MEX. All contracts are settled on daily basis at the daily settlement price till the final settlement of commodity on the expiry date. Spot contract is one of the basic transactions of the derivatives. The spot market is for immediate trade, and it is normally settled in five days i.e. (T+7) which means trade date plus the number of business days. Generally, the time scale is typically short. In this trade, the price at which we trade is known to us at the same time. Spot market is real time market for instant trade of commodities like grain, bullion, electricity etc. Prices in spot are settled at current price and the delivery will be done at that. The spot market is also called cash market or physical market. In spot market, commodity that is regularly sold is done at the present value and delivery takes place later. What is difference between spot market and futures market? In spot market, commodities are physically bought or sold usually on a negotiable basis resulting in delivery. While in the futures markets, commodity can be bought or sold irrespective of the physical possession of the underlying commodity. The different between the spot price and the future price of the same assets is called Basis and generally future contracts are priced higher than the spot price. This situation is known as “contango market” where the basis is in the negative.